These days there is more choice than ever when it comes to the look and feel of your bathroom. With a huge range of furniture and accessories, it's easier than ever to design an ideal bathing space that perfectly compliments your tastes. 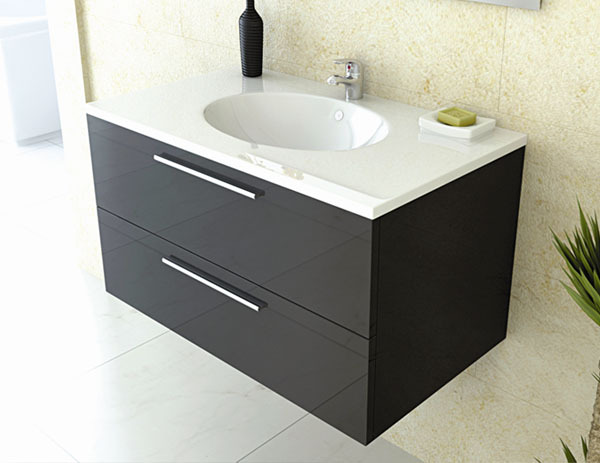 Why settle for a drab and dreary looking bathroom when a wide variety of bold and eye-catching vanity units, cupboards and wall units are available at very reasonable prices? Never before has there been such an opportunity to make your bathroom stand out from the crowd - now you can create a space that will be the envy of your neighbours, and at a fraction of the price you might expect. 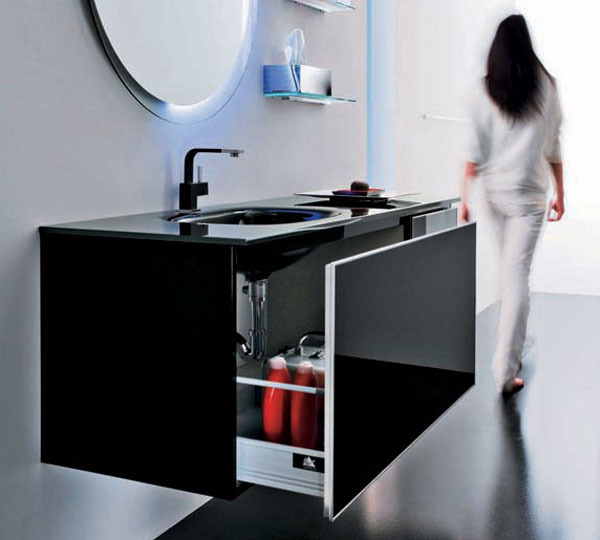 Why not make a statement with your bathroom furniture? It is important to think carefully about the furniture you choose for your bathroom. Often an overlooked part of any bathroom renovation, the furniture can either make or break the appearance of the whole room. 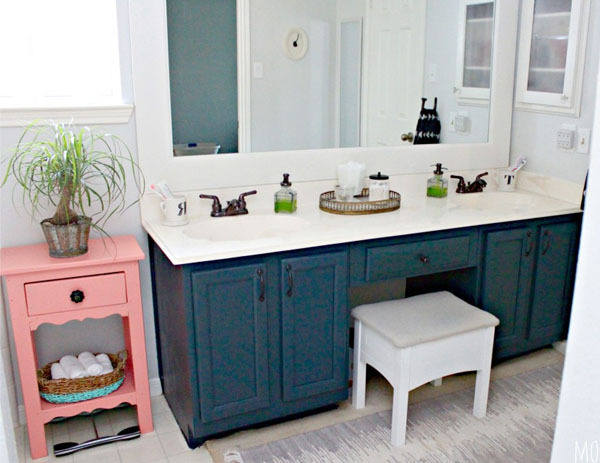 It is all too easy to ruin the look of a perfectly good bathroom with furniture that looks cluttered, out of place, or which doesn't provide the storage space your family needs. Good bathroom furniture will compliment the bathroom items and fittings that surround it, helping to add a splash of colour and eye-catching design to your room. It is also the ideal way to display and store all your various bottles, jars and other day to day items without them getting in the way of your daily bathroom routine. The right bathroom furniture can add flair and distinction to your bathroom, giving it that added edge to set it apart from the rest. Thanks to our commitment to value, you can easily find sublime furniture at an amazingly low price. 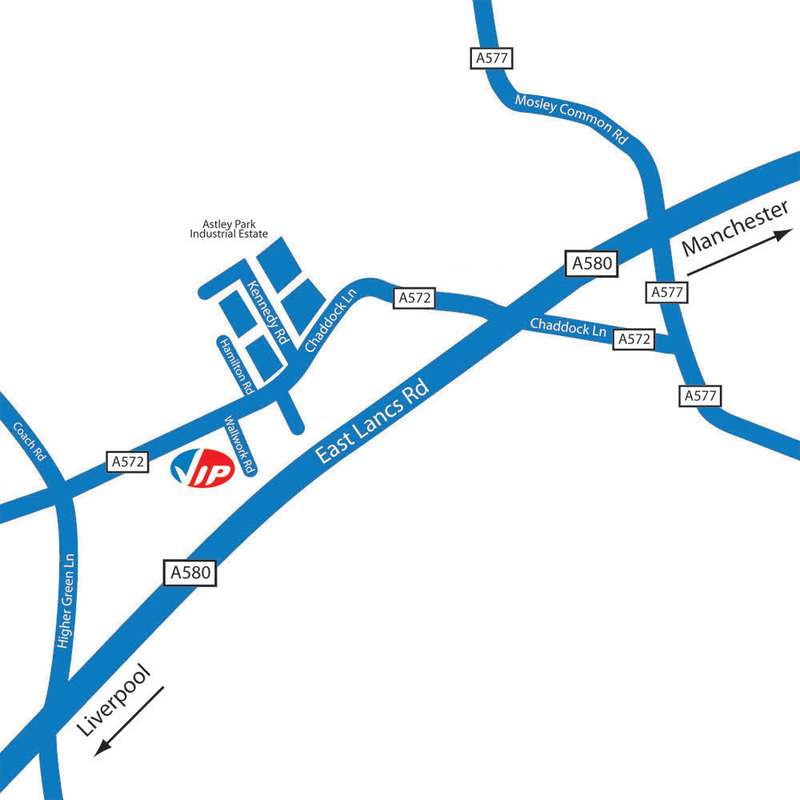 If you're stuck for ideas after reading this guide, or would like some free and friendly advice, simply contact our team via the details near the bottom of this page - we're happy to help! 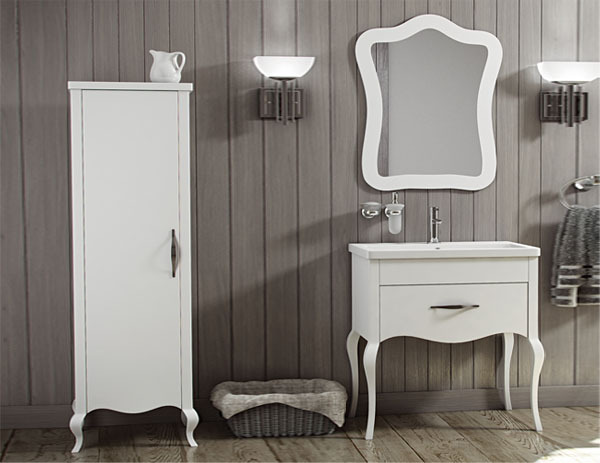 Gone are the days when bathroom furniture was available only in a range of drab greys, beiges or whites. Why not liven up your whole bathroom by adding a splash of colour? With furniture now available in a wide range of colours, you can really make your bathroom stand apart from the crowd by introducing a boldly coloured furniture set. This will give the whole room a much more vibrant and warm feel, as well as making a much more memorable and lasting impact with your guests. Extremely fashionable and popular at the moment are striking navy blues, bold blacks and clean, crisp high gloss whites. These colours are perfect for adding a warming and welcoming hue to your room. Especially popular right now are contrasting colours - why not pair white bathroom items with black furniture and units to create a stunning monochrome look that will make your bathroom the talk of the town? Find these superb colours in our store now. All the furniture items fall in to one of two categories - either Modern or Traditional style. It is very important to decide from the offset which of these looks you are going for, as mixing and matching from both styles can produce unsightly results. 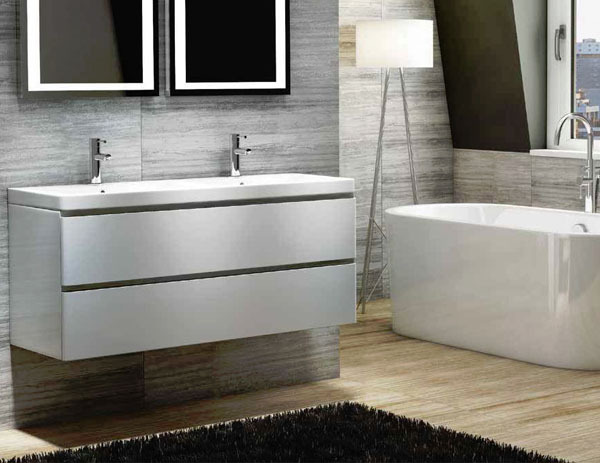 If it's Modern style bathroom furniture you're after, there are a wide range of new additions available which can add an air of cool sophistication to any home. Often in a bold, cubic style, these stunning designer furniture items tend to boats stark lines and smooth finishes, providing a cutting edge look for your home. Ranges such as the Linea or Venice sets are fine examples. On the other hand, a timeless, classical and rustic look can be just as effective. By choosing a Traditional style of furniture you can set your bathroom in a style which will look great for years to come, providing a vintage chic look that will make your bathroom the talk of the town. The York or Paris set (pictured) are fine examples of this type. Let's face it, there's no point in having beautiful bathroom items if they can't be seen for clutter and mess. In today's modern homes, space is increasingly at a premium - this is especially the case in many modern apartments and in guest or ensuite bathrooms. In situations like this, it is advisable to make the most of every inch of space you can. It is easy for spaces like these to become cluttered, which can seriously detract from the look of your bathroom - this is especially the case in busy family homes. You can easily de-clutter your bathroom by installing items such as cabinets, vanity units or wall hung units - many of which incorporate practical storage solutions such as soft close drawers or cupboards. These make it easy to hide away the day to day bathroom items which can quickly make any bathroom look untidy. 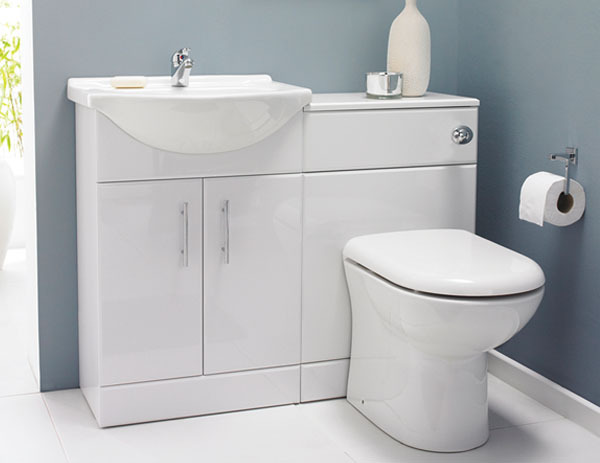 With the latest and smoothest fixtures and fittings our bathroom furniture is available in many shapes and sizes, and is the ideal solution for storing all your bathroom items. Free standing furniture comprises of any units which stand vertically up from the ground, as the name suggests. This incorporates a wide range of vanity units, cupboards and WC units, all of which will likely include room for storage. This type of furniture is highly popular due to it's ease of installation - many of these items are provided fully assembled, saving you the nightmare of having to build each item yourself. Freestanding furniture can also offer much more flexibility in terms of where you place your items, pipework permitting. This allows you to locate your furniture in a way that suits your own unique tastes, greatly enhancing the overall look and appeal of your bathroom. Many of these items can also easily be moved, should you feel the need to change the layout of your room at any time. This also makes cleaning behind, under or around the units much easier. Perfect for smaller bathrooms, guest rooms or ensuites, wall hung furniture provides the illusion of added space and room. By having furniture items attached to the walls rather than upstanding from the floor, you free up much needed floor space. When used properly this can greatly increase the feeling of depth and space created by a bathroom, making it feel much less cluttered and claustrophobic. It is much easier for you or your guests to relax and unwind in a bathroom that does not make them feel boxed in. Despite taking up less room, today's wall hung or wall mounted bathroom furniture offers ample storage space, and is easy to install thanks to its intelligent design. There are many advantages to this type of furniture, making it among our most popular. Modular furniture is a great option if you’re working with much smaller bathroom spaces - it allows you to choose a combination of furniture to suit you. It is very popular nowadays thanks to its contemporary yet timeless look. Modular furniture is the type which comes in individual units or components which are then put together to create larger furniture sets. You can select from a wide range of plinths, worktops and units, combining them to produce a furniture unit that is tailored towards your specific needs. Furniture items such as our Venice furniture range allow you to easily add or remove pieces based on what you do or don't need. This allows you to fill your available space with the furniture you want, rather than being forced to make room for large or bulky furniture sets featuring things you don't really need. As well as the modular furniture described above, we also offer a range of stylish and great value Cloakroom Furniture. 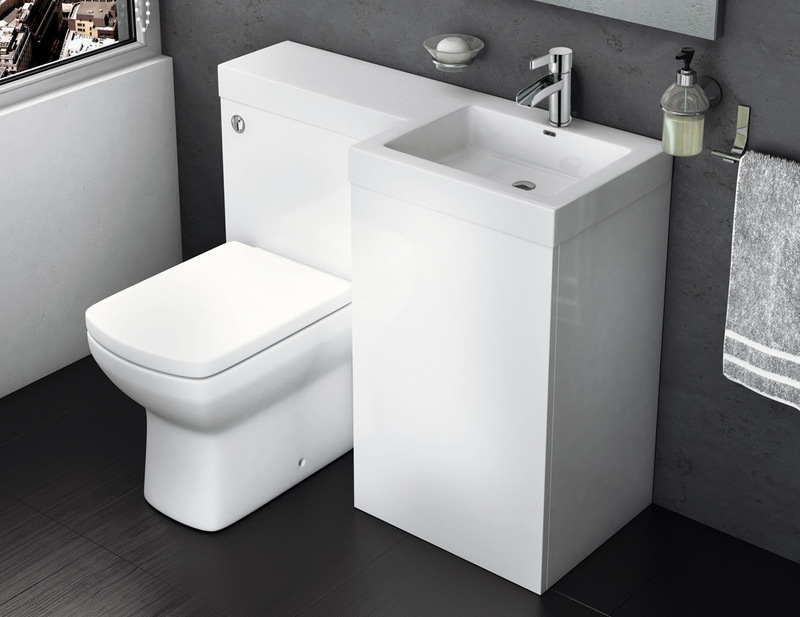 This is ideal for ensuites, guest bathrooms or any smaller space where room is at a premium. In situations like this you have to be much more careful with how you lay out your bathroom - the wrong placement of items can make a smaller bathroom feel cramped and much less comfortable. Our cloakroom furniture sets such as the superb Saturn set or the sublime Sienna pack are specifically designed to offer you the maximum return on your space, with all the storage you need and at a great value price. 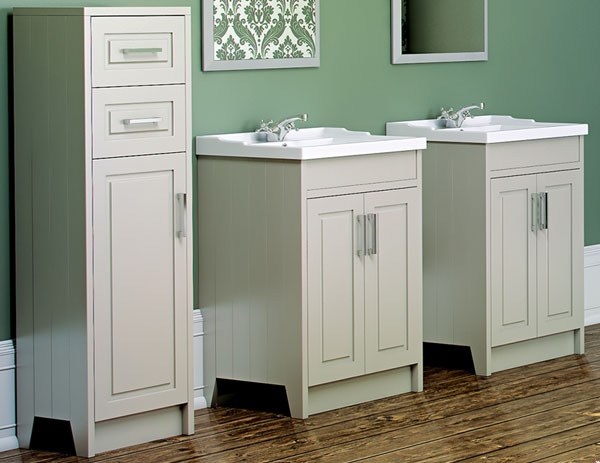 Rather than having your bathroom furniture scattered around the room, taking up valuable space, these excellent units bring the various items together in to one complete set, allowing you much-needed room for your other bathroom items. If you would like any further information on any of the bathroom furniture we offer, or some friendly advice on any aspect of your bathroom, please feel free to contact one of our helpful advisors via the details below - we're always happy to help!